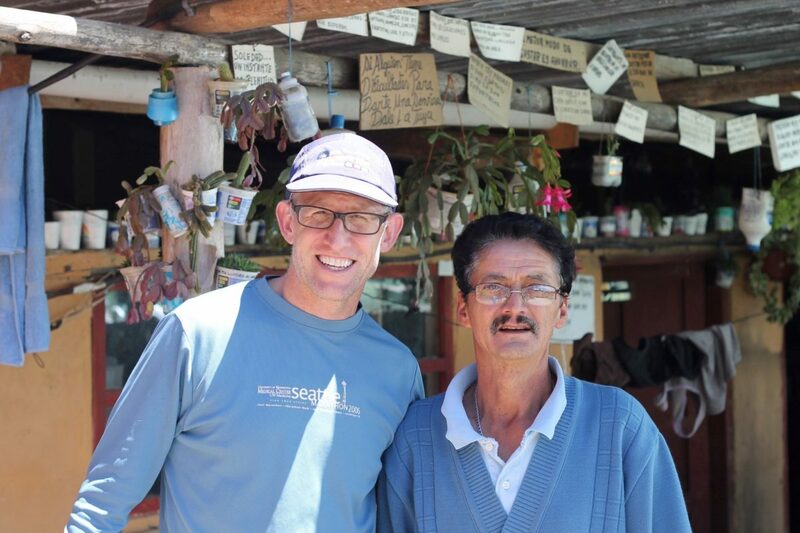 I was also able to visit other counterparts during my recent stay in Ecuador. I dropped in on Nelson Torres. Torres learned the craft of raising pigs with some help from Peace Corps volunteers and then became a source of information for multiple generations of volunteers thereafter, including me. I learned everything I know about pigs from Nelson. It was tremendous to see how his business had grown and hear of his big plans for the future. I also was able to get some fantastic photos of his family. 2 Comments on "Friends of Ecuador goes to Ecuador…part 7"
Thank you for posting and sharing these great photos and stories of your return trip to Ecuador. I haven’t been back since my service 82-84, but am interested in any news from Ecuador. I lived at the Cruce Cordillera with Cotopaxi just across the Pan Am highway. I was surprised to read it had erupted last year. I never saw that news. Thanks again. I really enjoyed reading your posts and seeing your photos. Glad you liked the posts. The Pan Am is now a fast toll road, though there are speed traps. Lots of the back roads are now paved as well. Most folks had cell phones. So much change from the late 1990s but all felt familiar. Hope to get some new material up on the site in the coming months as well.